A Scottish café-diner has struck upon a novel way to help fundraise for an African charity. 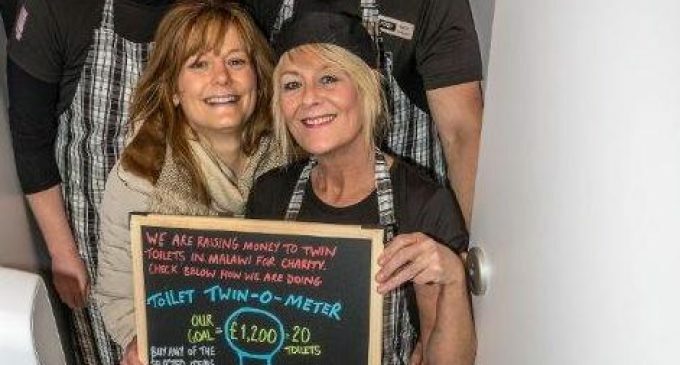 The owners of The Real Food Café at Tyndrum, near Crianlarich, are encouraging customers to support ToiletTwinning.org to raise funds to build sanitary facilities for impoverished communities in Malawi. Marking the day as #CrapFriday, the campaign will see the business donate the equivalent of a Black Friday discount to visitors dropping by before close of business on 25th November. Widely adopted as the unofficial start of the Christmas shopping frenzy, the date sees many retailers discounting products to kick-start the shopping season. As an antidote, café owner Sarah Heward has launched an anti-Black Friday toilet-twinning campaign, known as ‘Insanity to Sanitation’. Aiming to raise a minimum of £1,200 to build at least 20 toilets in the Southeast African country, the Tyndrum cafe is donating £1 each time a customer spends £20 on food. Once the 20 toilets have been completed in Africa they will be ‘twinned’ with their counterparts at the Real Food Café. As well as donations, the café has also established a JustGiving page where anyone can pledge support for the cause. Visit www.justgiving.com/fundraising/Realfoodcafe.